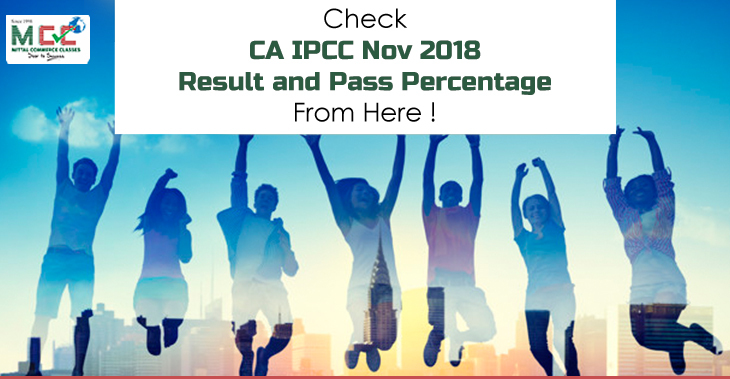 Check CA IPCC Nov 2018 Result and Pass Percentage From Here ! Check IPCC November 2018 Result from here….! CA IPCC November 2018 Result is declared on 8th February 2019. Do you want to know how to get the IPCC result through email/ SMS/online? then Read this article till the end to get details about IPCC pass percentage, IPCC May and Nov 2018 toppers, and how can you get your CA IPCC November 2018 result by name or by the center. *Choose the appropriate link on Icai website direct entry or Foundation route. 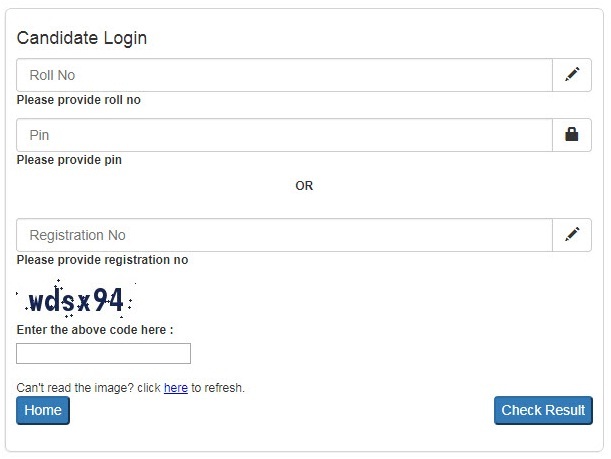 Enter your ‘Roll Number’ and ‘Pin’ or ‘Registration Number’. Then enter the Captcha Code as it appears in the image and clicks on ‘Check Result’. Candidates can print the result by clicking on ‘Print’ button. The arrangement to register students email id with ICAI website is made from 4th February 2019 onwards. Registered user id and password to login in ICAI registered account. Now, click on the ‘Register Me’ to submit and successfully register for receiving CA IPCC result 2018 on their registered email id. ICAI also gives the provision to check result through SMS. You need not to worry if you are away from desktop and internet. Compose New Message and Type ‘CAIPCOLD(space)Roll Number’. In this manner, candidates who registered for SMS service will be able to, view their result of CA IPCC November 2018 on their mobiles. The ICAI has ruled out registration under IPCC and renamed “ NEW IPCC as CA INTERMEDIATE COURSE’, under the new scheme of training, since June 2017, but has allowed registering for the exam under the old scheme. The last attempt to clear the old IPCC level will be on May 2019. Henceforth students will mandatory register under Intermediate level and will appear in respective exams. Hurray!!!! Got an exemption (BEWARE you might be tricking yourself). Student have the option to fill IPCC exam form either for a single group or both groups, hence IPCC result is out on 8th February for student appeared for single group Or both group. (b) secures at one sitting a minimum of 40 percent marks in each paper of both the groups, viz., Group I and Group II levels, and a minimum of 50 percent marks in the aggregate of all the papers of both the groups taken together. (3) A candidate shall be declared to have passed in Group I level or Group II level or unit, as the case may be, if he secures at one sitting a minimum of 40 percent marks in each paper of the group/unit and a minimum of 50 percent marks in the aggregate of all the papers of that group/unit. You need to keep a few things in mind to save unnecessary hassle while checking result. Which makes it an aggregate score of 130 which is less than (150)50% of the total score of 300. We.could understand how confusing it must be for you. For clear understanding and not making any mistake regarding exemption we are simplifying the eligibility and process. You must have appeared in all the papers of the group/unit. You must have failed in the group/unit and should have secured a minimum of 60 marks in any paper/s of the group/unit. An exemption is valid for three immediate succeeding exams and will be carried forward automatically for the next three examinations. A candidate shall be declared to have passed in a Group/unit if he secures at one sitting a minimum of 40 percent marks in each paper of the Group/unit and a minimum of 50 percent marks in the aggregate of all the papers of that group/unit. For the purpose of arriving at the aggregate marks, 60 percent or more marks secured earlier will also be taken into account. As long as the exemption in one or more paper(s) of a group/unit, brought forward from an earlier attempt is subsisting, no further exemption in any paper in that group/unit will be given, even if one secures 60% or more marks in any paper in that group/unit. you will find the alphabet “E” marked against the marks of already exempted paper(s) carried forward from an earlier examination, provided the exemption is still valid. When the result is declared there are times when we are not satisfied with the marks we score. If that is again the case with you, then ICAI has provided you with the option to reevaluate your answer sheets. You can get a certified answer sheet only when you apply within 30 days of the declaration of result. Make a payment of Rs 100 for the per subject. After receiving your answer sheet if you think there had been any discrepancies or your answer sheet has not been properly evaluated you can again apply for a recheck. ICAI has also provided you the chance to reevaluate your answer sheet. It takes some time to reevaluate your answer sheet and you get the notification through email about any changes in your marks. AIR 1- ARJUN MINOCHA, AIR 2- DIVYA GUPTA, AIR-3 PRAMANSHU SHARMA -ranked for old CA IPCC toppers Nov 2018. Deepa Jain, Lakshmanan A. and Parth Gupta are three top-ranked for old CA IPCC toppers May 2018. To analyze the result, let’s evaluate student appearing for both old and new exams and pass ratio separately. It was found that more students appeared for group 2 in old syllabus format as compared to student appeared for both group and group 1. Till the time result are out to try to enroll yourself for articleship programme in some good CA firms. keep yourself healthy and Topnotch.